Synopsis: It’s the night before Christmas and Mikado and young Athena are discussing the King’s Jewels and how they can be used to open the Royal Garden. 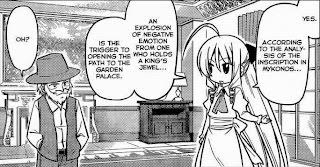 Athena explains that basically, an explosion of negative emotions from someone who possesses a King’s Jewel will open the door to the Royal Garden/Garden Palace. After some further explanation by Athena, Mikado finally gets it and decides to go out and find a candidate – dressed up as Santa Claus. 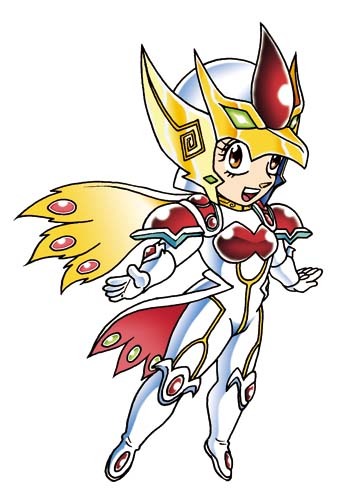 I thought this was Alice version Athena at first. The first one he comes across is Ashibashi Gouji sensei, who is not yet a famous mangaka at this time. He’s just finished his one-shot manuscript and is on his way to attempt to get it serialized, but Mikado grabs it and tells him that his manga is terrible hoping that this will make him even more depressed – but it has the complete opposite effect and instead inspires him to redraw his manga from scratch using his own ideas instead of drawing it the way his editor wanted him to. Scratch one candidate. Mikado moves on and sees a rather forlorn looking loli Hina. Unfortunately for him, Yukiji (who is not yet a sensei) beats him up before he can try to do anything to Hina. Mikado then witnesses from the sidelines that Hina and Yukiji are actually pretty happy as a family and decides that it wouldn’t have worked out with Hina anyway. Yes, Santa Claus IS evil. 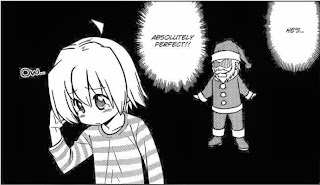 No wonder Kyon doesn't believe in Santa. Review: Happy new year, everyone! Well, unsurprisingly, we got something actually relevant to the plot for this chapter. 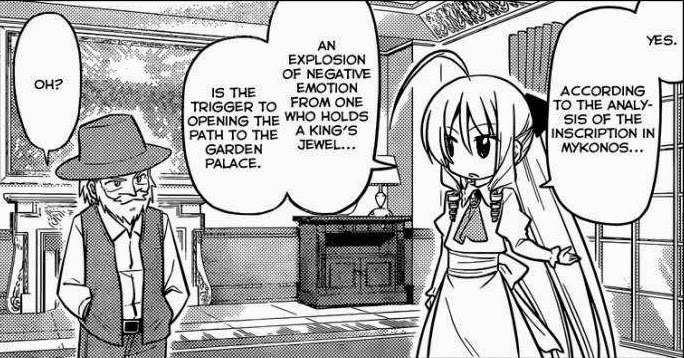 This was a flashback to the time before Hayate met Athena in the Royal Garden and it shows just how far back this whole Royal Garden plotline actually spans. There’s not much to be said for this chapter. I thought that loli Athena was very cute and it was funny seeing Mikado ask her if she wanted a Christmas present herself. While this chapter may or may not be relevant to the main arc that currently involves Hisui, Housen, and the King’s Jewels, it does add something to the canon Hayate no Gotoku universe, so we can safely say that this was still a plot-related chapter. One complaint I have is the timing of this release. It would have been nice to have this one released during December instead of that filler “blatant marketing” chapter since this chapter is set on Christmas eve. 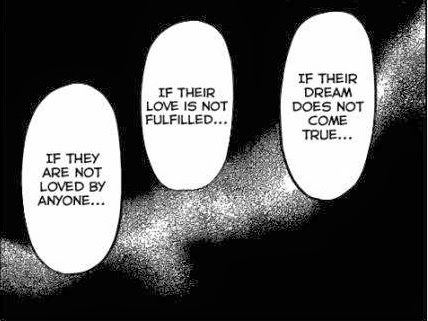 This panel could also apply to Hinagiku, but I just have a strong feeling that this is a subtle foreshadowing for making Nagi the new candidate. I’ll end my disorganized ramblings with this speculation: Nagi might become a candidate to open the Royal Garden herself since the kind of despair she displayed during the doujinshi competition might just be what’s needed to open the path. All it takes is to make her heartbroken over Hayate after all. You may be right. I hadn't given it much thought, but at this stage I can't see anyone becoming a candidate/opening the path except Nagi or possibly Maria. A big dramatic development like that is not something that will be done by a side character, (Looking at you, Wataru) and we have far too many new characters already (Hsiu, Yozora, Ikusa, Himegami) for Hata to introduce some random new girl just to become a candidate. We'll just have to wait and see how it all develops. Personally, I've never even considered Wataru. He just doesn't seem like the type of person to go all emo and become a candidate -- and yeah, he's pretty much become an irrelevant side character at this point. 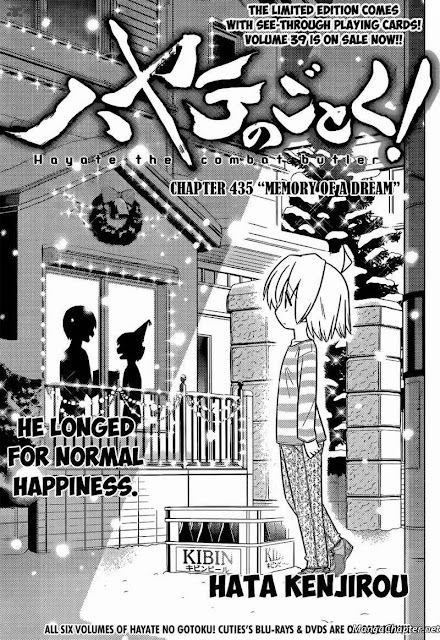 I also believe that Nagi's feelings for Hayate after all the developments in the doujinshi arc is still a bit unclear. Does she still think that Hayate loved/loves Ruka, for example? How does she think Hayate feels about her? It's been implied for a while that she might be aware of the initial misunderstanding about Hayate being in love with her -- but to what extent exactly? 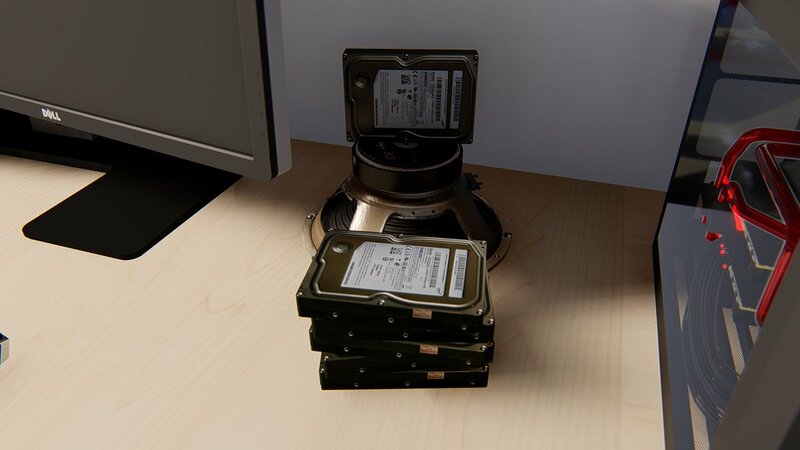 These might make some pretty good material for long, serious arc. I just realized something with this chapter. Remember how when Hayate first got the jewel that Nagi ended up destroying, it made him even unluckier then usual. It does that because for it to work, the person using it has to have a burst of negative emotions, thus it's working to get it activated. The more you look back, the more things begin to make sense. Indeed. It's even expounded on more in the non-canon portions of the season 1 anime just how much that King's Jewel brings bad luck to its owner. Interesting insight there. So the King's Jewel might be something like a self-activating device that starts working once it's in the possession of a prospective candidate. Still, I don't mind the extra wait since the plot advances. Reply script takes forever to load. Anyway, thanks for the heads up. I'll check it out now.